At Professional Track, Site Acquisition and Permitting is always done in close tandem with local associates whose useful insight, knowledge of local bureaucracy and confidential connections usually help to drive the permitting process forward as fast as possible. The road to discovering ideal Cell Tower Locations in concentrated urban areas is paved with trials and tribulations. It often requires a special mix of ingenuity, persuasion and smart technical skills. Search teams also need to take into account environment quality considerations and to this end, Professional Track teams join with carefully selected local professionals as they seek to acquire access to highly desired locations. Once a perfect cell tower location has been found Professional Track carries out further research and evaluation regarding its candidacy for the job. Site Acquisition Reports are created and checked in order to find the fastest route possible to making the site network operational. 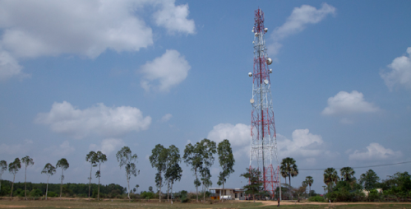 When the ideal cell tower location has been selected, negotiations begin with the site owners and leasing agreements are signed by both sides. Professional Track prides itself on building warm community relationships and works hard to select cell tower locations that cause no harm to the environment or surrounding populations.